We’ve all suffered that draining, mid-afternoon low and have gone in search of a quick energy shot; unfortunately, most people opt for the instant sugar rush promised by chocolate and cookies. The problem is that sugar rushes are just that, they don’t last long – a post choccie crash which is accompanied by all those evil calories that find their way straight to your hips! 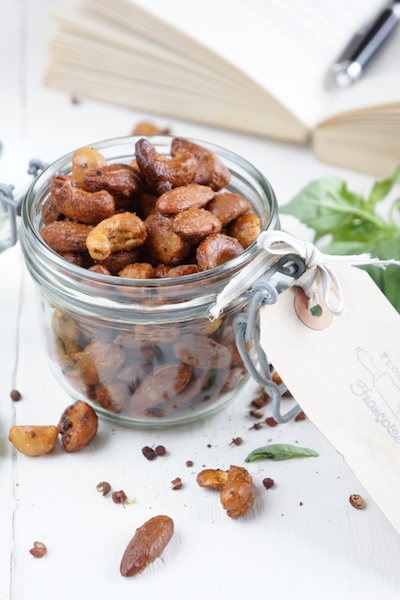 Nuts (for the non-allergic) are a genuinely healthy alternative as they are one of nature’s great snacks being rich in: protein; antioxidants; fibre; vitamins and minerals, as well as providing a source of healthy fats. 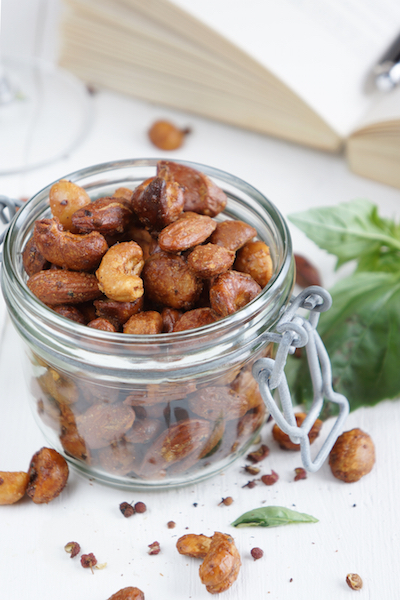 A handful of nuts can suppress those food cravings until dinner, but as with all things the watchword is moderation – a couple of packets of “ready salted” is not such a smart idea! Almonds are among the least calorific form of nut and are a great source of minerals such as: potassium, calcium (a great choice for vegans), iron and magnesium. They also contain healthy fats; are rich in both biotin and the antioxidant vitamin E and are high in fibre. 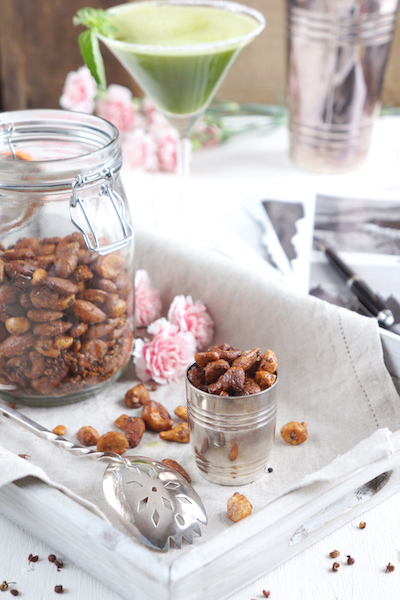 Energy boosting: Almonds are packed with energy enriching nutrients. Magnesium supports the production of energy in body cells whilst boosting your mood and improving sleep patterns. Being high in fibre, it will regulate your blood sugar levels and slow your digestion, which, in turn, will regulate your energy and release it over a longer period of time. Lowers cholesterol & supports artery health: monounsaturated fatty acids can reduce the level of unhealthy LDL cholesterol in our bodies, important both for a healthy heart and to the lining of our arteries, as well as reducing the incidence of blood clots. Omega 3 fatty acids will keep our cell membranes smooth and support their functionality. In addition, the antioxidant vitamin E will fight free radicals thereby protecting our cardiovascular system. Make sure to eat almonds with their skin on as the surface flavonoids can double the antioxidant power of the vitamin E.
Healthy skin: Biotin plays an important role in the metabolism of fatty acids such as the transformation of alpha-linolenic acids into omega 3 fatty acids. Omega 3 fatty acids, on the other hand, are crucial for our skin health – combatting inflammatory skin conditions; UV damage; lines and wrinkles; keeping our skin supple and moist. Controls your appetite: incorporating almonds into your diet can help you regulate your weight if used sparingly as its healthy fats and fibre can fill you up, steering you away from mindless snacking. 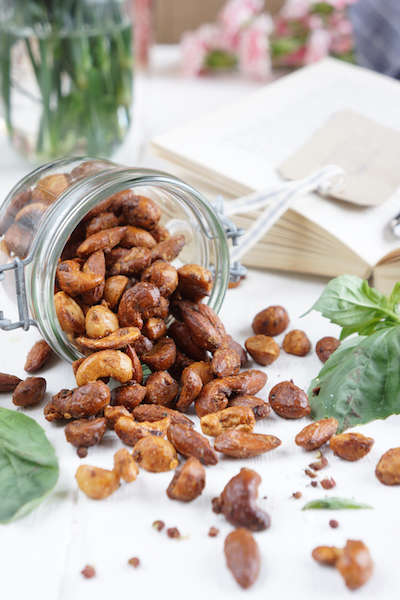 Clearly, roasting and adding salt and sugar will fundamentally alter the nutritional profile of the nut, I have therefore focused on a recipe that will avoid these pitfalls. People who haven’t tried Szechuan pepper will be surprised by the tingly numbness it creates in your mouth. Szechuan pepper activates the ‘light touch’ nerve endings at an intensity of 50 vibrations per second. Burgerstein Handbuch Nährstoffe; Healing Foods; Caring.com; The World’s Healthiest Foods: biotin & almonds; NHS; SELFNutritionData; Mayo Clinic; Chris Kresser. This entry was posted in Food, Food Photography, Food Styling, Recipes and tagged nuts, photography, vegetarian by Françoise La Prune. Bookmark the permalink. Once again easy recipe that sounds delicious and wonderful photos to spur the reader on.